“Love is no use unless it’s wise, and kind, and undramatic” says Elyot at the very beginning of Noël Coward’s “Private Lives”, with the play being anything but undramatic right after that. 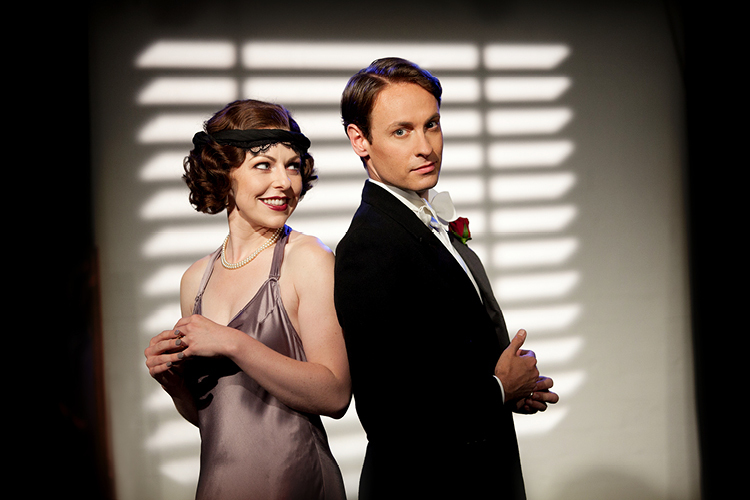 London Classic Theatre presents strong passions and strong personalities with 1930s France in the background in Coward’s most popular stage comedy. A West End star since he was 11 and a critically acclaimed playwriter from the age of 24. Noël Coward was a man of many talents, known as an actor, director, singer and writer of plays, musicals, revues, poetry and prose. He wrote Private Lives in 1930 during his trip to Asia. Noël played Elyot and directed his own production that became one of his most famous and successful plays. Private Lives presents two newly-married couples simultaneously starting off their honeymoons in adjacent suites in the same hotel. Sibyl admires her charismatic husband Elyot, while Victor watches his sophisticated wife Amanda. Everything seems to be perfect for the newlyweds, but it doesn’t last long. When Amanda overhears a familiar voice of her ex-husband, a chain of events begins, followed by spectacular consequences. The play itself can be quite relentlessly superficial or, as John Lahr, a theatre critic, described it once – a “plotless play for purposeless people”. Yet, London Classical Theatre manage to bring life to Coward’s text, which correspondingly gathers pace and slows down in the right moments. Olivia Beardsley as Sibyl magnificently embodies the “hysterical nonsense” of the situation and thus foremost her character by the use of suitable squeaky voice. Although she sometimes exaggerated the facial expressions of a persistently affronted lady, the aim was probably to stress the play’s comedy purposes. Vivacious and sophisticated Amanda becomes an inseparable part of spiritus movens of the battle of the sexes to an even greater extent when performed by glamorous Helen Keeley. Their artistic gallop through Coward’s lines wouldn’t be the same without the equally exceptional gentlemen. Victor (Paul Sandys) takes his time as more “comforting” husband material, while Elyot (Gareth Bennett-Ryan) speeds up the action even more by being quite the opposite. The actors are the greatest asset of the play with their engaging performance of cynicism and weariness that unavoidably leads through the marital battleground of a fatalistic love-hate relationship. The play’s production shows a classical approach, without any additional interpretation. Yet, it feels like something is missing. The question is then whether the problem lays in the interpretation or the piece itself. I would be prone to put the responsibility on Coward’s side as Michael Cabot’s production tries its best to entertain the audience. And judging by people’s reactions during the performance, the artists are presenting enjoyable comedy. Thus, Private Lives is suitable for spending a delightful evening being entertained by a rather nonbinding play.